«Choosing a friend» illustrated quotation. Scottish proverbs and sayings, free quote pictures for Facebook, Twitter, LinkedIn, Reddit, Pinterest and other social networks. 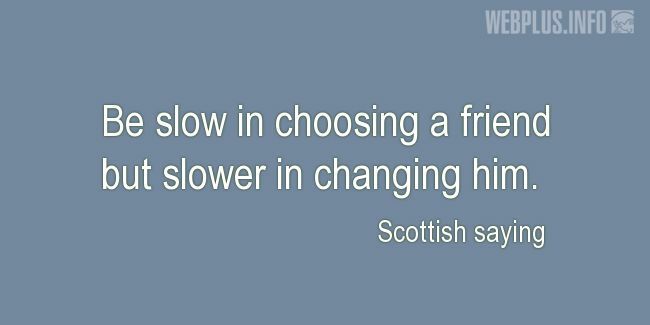 Be slow in choosing a friend but slower in changing him.